Uche Ikpeazu targeted a strong finish as Hearts prepare a new deal for the striker. Uche Ikpeazu said he's out to make up for lost time on his return from injury as Hearts line up a new deal for the striker. The powerful attacker made his comeback following foot surgery in October on Wednesday as Craig Levein's side were held at home by Livingston. 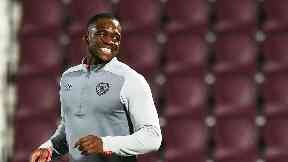 Before his stint on the sidelines, Ikpeazu had quickly established himself as a Tynecastle fan favourite as he led the line for the early season league leaders. Manager Craig Levein has been equally impressed by the ex-Cambridge hitman, confirming before Saturday's Scottish Cup tie with Auchinleck Talbot he is currently working on a contract extension Ikpeazu. The forward, meanwhile, reflected on a "crazy" spell in a packed Tynecastle treatment room over the winter, before laying out his own personal plan of attack going forward. He said: "It's been tough but I've worked really hard and I'm just focused on having a good end to the season, making up for lost time really. "I've recovered well, it's a testament to my hard work, the staff around me and the facilities at the club. "They've helped me come back in the best possible condition. "The fans have been massive for me. Even a couple of days after my operation the fans were messaging saying they couldn't wait to have me back. "Even though I was so far off, it means a lot and motivated me even harder." 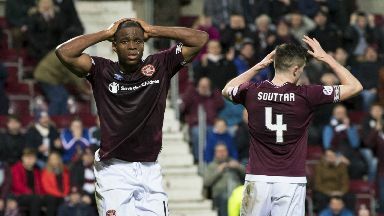 Hearts dropped off the pace in the Premiership as Ikpeazu and other key players such as Christophe Berra, John Souttar and Steven Naismith were sidelined. 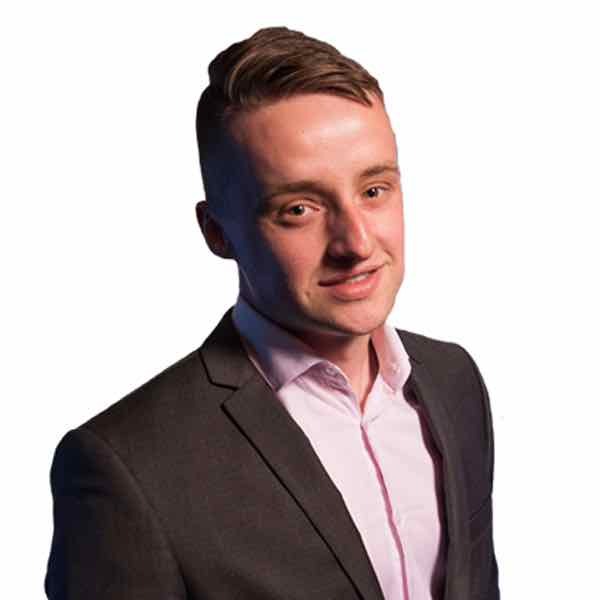 The 23-year-old insisted the Jam Tarts would "be right up there" if it weren't for their injury woes, although he believes qualification for Europe remains a realistic prospect. He added: "I maintain that if everyone was fit we'd be right up there. "It's frustrating when you are seeing the team losing and know you could make an impact but it's part of the game. "We have to aim high. "We have a good squad, good ability, good staff, good management, anything is possible. "We just have to take every game as it comes." Ikpeazu found the net last year as Cambridge ran Championship big guns Leeds close in the FA Cup. This time around, Auchinleck Talbot arrive at Tynecastle as the underdogs, with the towering forward lining up for the heavy favourites. Ikpeazu said he'll be taking nothing for granted, given his own cup experiences. He continued: "My biggest moment down south was scoring against Leeds when I was at Cambridge. "We had a good little cup run then. "We can't take anything for granted, it's about who turns up on the day. "At the end of the day they are here for a reason. "We have to treat it like every other match."